This December, Art in the Garden features Manga Hokusai Manga: Approaching the Master’s Compendium from the Perspective of Contemporary Comics, an exhibition organized and supported by the Japan Foundation. The Garden is the only U.S. venue for this traveling exhibition, which was directed by Professor Jaqueline Berndt of Seika University in collaboration with curators Yu Ito of the Kyoto National Manga Museum and Mizuki Takahashi of the Contemporary Art Center, Art Tower Mito, and art director Shin Sobue. 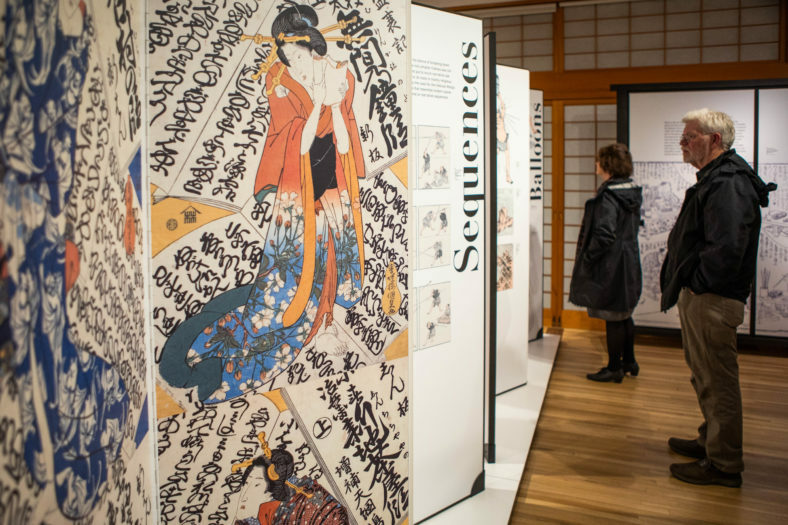 The exhibition compares and contrasts contemporary Japanese manga with Hokusai Manga, a collection of superb illustrations by Katsushika Hokusai (1760-1849), the renowned ukiyo-e artist recognized the world over for his iconic woodblock print The Great Wave. The original 800-page edition of Hokusai Manga was published from 1814 to 1878 in 15 stitched-bound volumes. It included 4,000 images, woodblock-printed in three colors: black, gray, and pale flesh. Katsushika Hokusai, one of the most versatile and innovative painter-illustrators of his time, gained renown in Europe and North America in the late 19th century. Hokusai named his popular collection of printed drawings “manga.” “Manga” was initially written with two Sino-Japanese characters: 漫 (man: diverse, random, rambling, capricious) and 画 (ga: line drawing, picture). When the term first spread, it was primarily used to indicate a large and wide assortment of drawings or an extensive catalog of motifs. With the emergence of modern newspapers around 1900, the term “manga” assumed the meaning of satirical picture. It ultimately became part of everyday parlance in the 1920s. Throughout the 20th century, the word denoted cartoons, caricatures, comic strips (koma manga), and, eventually, graphic narratives serialized in manga magazines. Although primarily characterized by a diversity of subject matter, frequent attention to grimaces and acrobatic activities have created the impression that manga is somehow synonymous with cartoons or funny pictures. 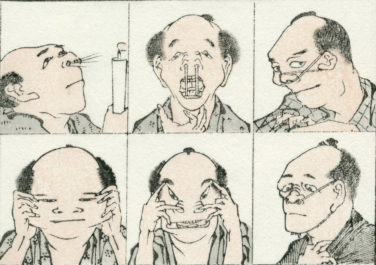 When compared with the work of Hokusai’s contemporary Utagawa Kuniyoshi, however, it is evident that Hokusai’s manga images are not necessarily humorous. In 19th-century Japan, it was precisely the balance between prosaic and whimsical, instruction and entertainment, that guaranteed the enduring success of Hokusai Manga. Considering Japan’s contemporary comics and their global proliferation, the 19th century Hokusai Manga is attracting increasing interest. Fans worldwide tend to regard the pictorial compendium by ukiyo-e artist Katsushika Hokusai as the origin of today’s manga. But do present-day graphic narratives and the master’s “diverse drawings” share anything other than a name? This exhibition invites viewers to ponder their own notions about manga by comparing works from different periods while exploring the diversity therein. 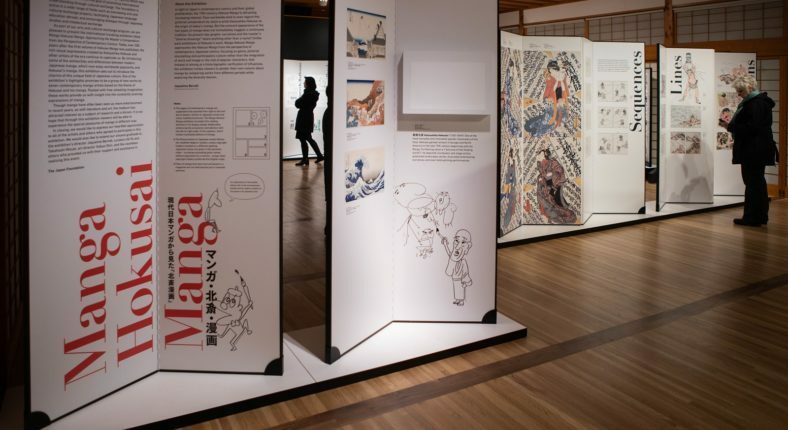 Manga Hokusai Manga runs from December 01, 2018 – January 13, 2019, at Portland Japanese Garden. The exhibition is presented by The Japan Foundation and Consular Office of Japan in Portland.